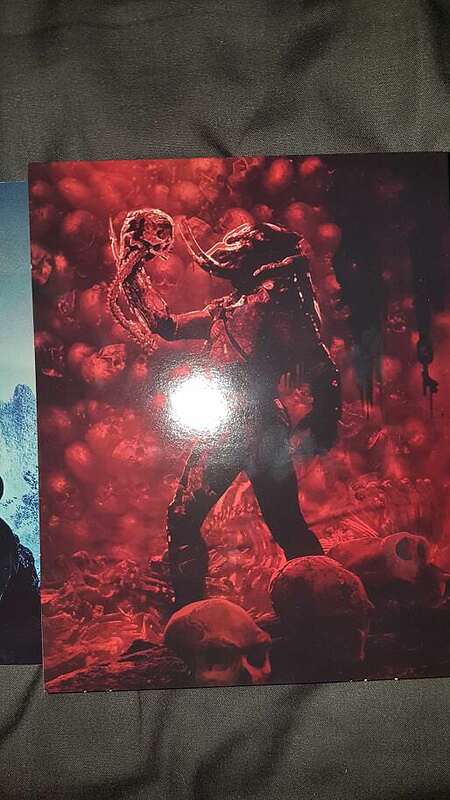 Cool, though some what redundant seeing as the upcoming movie The Predator which will lead to the Predator Quadrilogy Bluray DVD box set, but this is still a cool piece for one's collectors edition. Buying it just for the covers those are savage! But why a Pred dog instead of Tracker? Can someone please link to the best buy steelbook? I'm having trouble finding it. It's not listed on best buy yet. Funny, i would have never thought this was a "trilogy", but Predator and the sequel, and then some kind of reboot. Anyway, i hope the video quality is good, i really like the covers. It'd be nice if it finally got a more comprehensive treatment like the Quadrilogy. The 4K of Predator makes all others obsolete just by existing. Especially since of the two releases we have, one is barely better than the DVD and the other is DNR'd into oblivion loosing tons of texture and detail across the film. Kinda pissed that the only Super Predator I liked isn't even on the cover. I bought Predator on iTunes ages a go for a couple of pounds and I was delighted when it was upgraded for free to the new 4K version. I couldnt go side by side comparisons, but the transfer looks a lot healthier and better than the DNR'd mess we've seen before. Well, it comes with a Blu-ray too, which might either be the UHE or the new transfer compressed to 1080P, we don't know yet.